This anthology provides an extensive and varied collection of the best classical and contemporary readings in metaphysics, as well as substantial editorial material, which set the extracts in context and guide the reader through them. The book is divided into 10 sections, providing instructors with flexibility in designing and teaching a variety of courses. 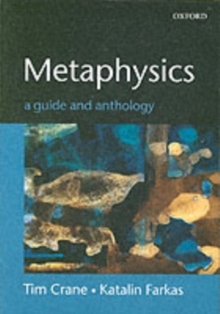 It contains 54 important writings on metaphysics, with introductions to each section, discussion questions and detailed guides to further reading. Perfect for undergraduate courses, this book offers the ideal self-contained introduction to metaphysics.